Companies and organizations could be heading into dangerous waters as global economic conditions have begun to accentuate pressures, opportunities and rationalizations for fraudsters. But here’s an innovative way to search through employee e-mails using the Fraud Triangle that could help companies expose submerged icebergs and create a safer, fraud-free environment. Computer forensics investigations must be a critical component of your tool kit. Constant training will help you hire experts, find digital evidence, and prepare for a judge and jury. You need to realize what you don't know and seek the training to fill the gaps. 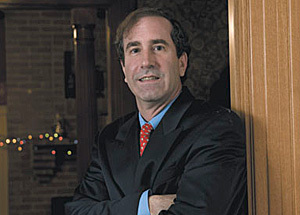 Harry Markopolos, CFE, CFA, couldn't have known that his first fraud examination would last nine years and uncover the largest-ever Ponzi scheme.